Bethesda MD | February 5, 2019 On Wednesday February 27th Landlord Representation attorney Revée Walters will co-present The Essentials of Landlord-Tenant Dispute Resolution at the Bar Association of Montgomery County, MD. The program will highlight the intricate issues attorneys, clients, and others face in landlord-tenant disputes and how to resolve these matters both in and out of court. The presenters will discuss how to handle both residential and commercial landlord-tenant disputes, provide judicial perspective on presenting your case in court, explain the resources that are available in Montgomery County to assist individuals in resolving landlord-tenant disputes outside of court, and offer guidance on how to enforce monetary judgments. 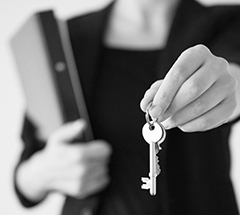 This program is designed for both new and seasoned practitioners who wish to master the craft of handling landlord-tenant matters in Maryland. Revée M. Walters is an attorney in the Commercial Litigation and Landlord Representation practice groups, and is a member of Offit Kurman’s Diversity Committee. She represents small and large companies in a wide variety of industries in state and federal court litigation, mediations, arbitrations, and agency proceedings. A focus of her practice is on the representation of clients in diverse and complex housing and employment law matters. This representation includes drafting commercial and residential leases, management agreements and partnership agreements related to real estate; advising and representing clients in cases involving public accommodation, the Fair Housing Act and Americans with Disabilities Act, breaches of lease, wrongful detainer and tenant holdover; and advising clients on employment issues, including compliance with federal and state employment laws, discipline and discharge decisions, handbook and policy development, and medical leave and disability issues.